ISLAMABAD: Large-scale manufacturing (LSM) posted a growth of 5.7 per cent in July-Oct 2013 from a year ago. The growth in LSM was mainly driven by 10 categories of items during the period under review, suggested data of Pakistan Bureau of Statistics issued on Friday. The growth in the industrial output is the outcome of improved energy supplies to the industries. Major contribution towards positive growth in LSM in July-Oct 2013 was from textile 2.22pc, food and beverages 6.48pc, petroleum products 10.37pc, paper and board 17.26pc, electronics 21.20pc, iron and steel products 7.36pc, leather products 14.39pc, chemicals 3.51pc, pharmaceuticals 0.42pc and fertilisers 41.09pc. Last year, the LSM sector, which accounts for 70pc of industrial production, recorded a positive growth of 3.79pc. 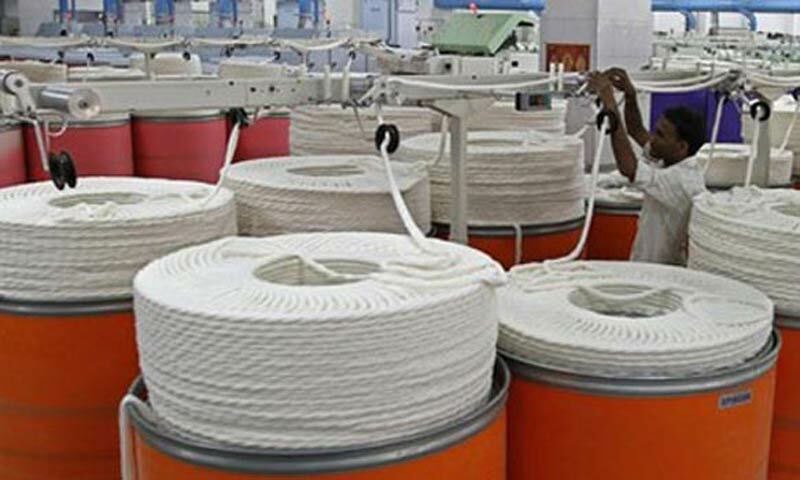 Some sectors, like rubber products, witnessed a decline of 1.64pc, non-metallic mineral products 0.27pc, wood products 8.49pc, engineering products 25.48pc and automobiles 3.69pc during the period under review. On monthly basis, the LSM grew by 3.84pc in October 2013 over the same month last year. The government has projected that the economy would grow by about 4.4pc this fiscal year. Industry-specific data showed that many sub-sectors didn�t perform well, mostly engineering and automobile products. In electronic and electrical goods, production of refrigerators recorded a growth of 13.61pc; deep-freezers was up by 138.37pc; air-conditioners 108.82pc; electric bulbs 34.46pc; TV sets 46.94pc; electric motors 42.47pc, switch gears 65.33pc and storage batteries 30.55pc. The production of electric tubes dropped by 42.99pc; electric fans 3.30pc; electric meters 30.74pc, electronic transformers 41.13pc; generating sets 100pc and bicycles 25.54pc during the period under review over the same month last year. The growth was witnessed in case of food, beverages and tobacco. The sector has adjusted weightage of 12.37pc in LSM basket. Vegetable ghee production increased by 7.19pc; oil 7.68pc; and tea blended 1.14pc. Another important sector, which provides jobs in large numbers, is automobile. However, production of buses was down by 44.02pc; jeeps and cars production 0.79pc during the period under review over the last year. The production of tractors trucks was up by 2.72pc; busses 19.82pc; LCVs 21.96pc; motorcycle 0.43pc during the period under review.